Light up your look with this Suns Silver Ear Cuff. This chic ear cuff is made from 925 silver and features a design of cut out sun-shapes. The cuff sits on 8mm surgical steel barbell with 3mm balls. 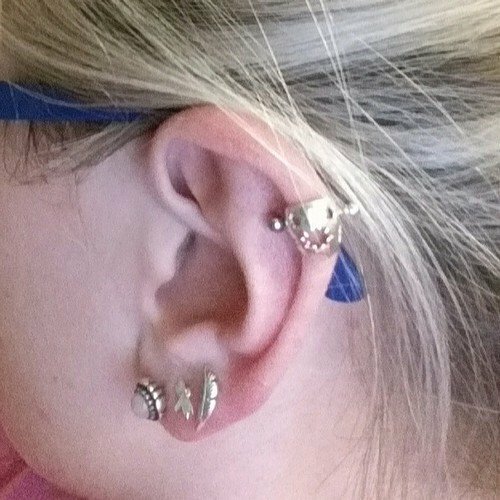 Stylish and comfy to wear, this ear cuff looks gorgeous in auricle and helix piercings. 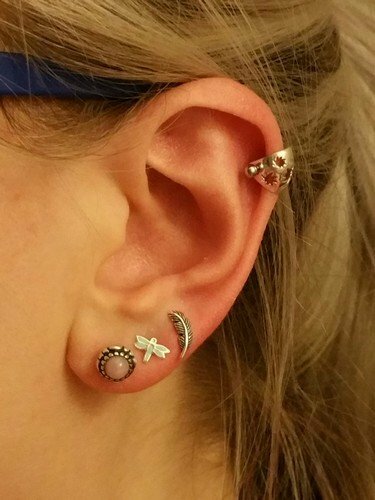 Looks cute in my helix. Was a teeny bit tricky to put in on my own but worth it. Would definitely recommend it.